Described by Jim Murray as 'One of the finest Lowland whiskies of our time' in the 2010 Whisky Bible. 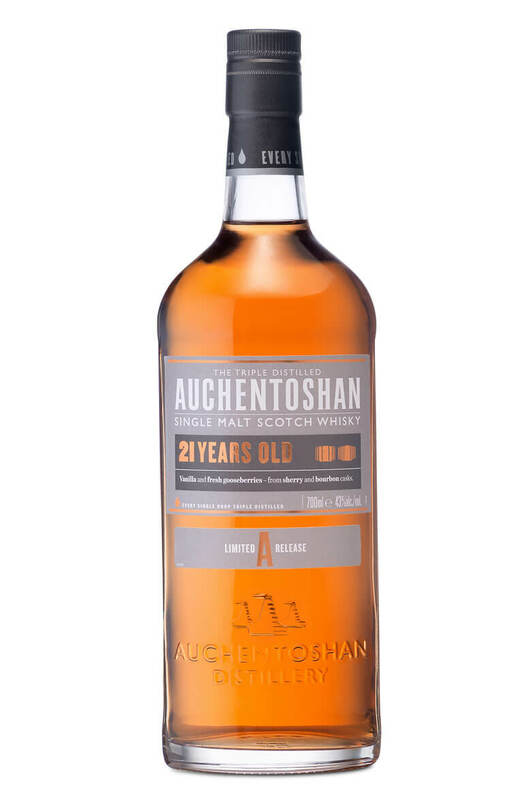 This is certainly one of the best Auchentoshan whiskies we have tried. Ageing takes place in refill sherry casks for the entire 21 years, but the sherry never overpowers the superb Auchie malt. Auchentoshan is one of a handful of Scottish distilleries that triple distil. The Valinch takes its name from the tool used to extract samples from a maturing cask of whisky. The..
A rare 1980s bottling of Auchentoshan 10 year old. Triple distilled single malt, aged in oak cask..
A superbly light and delicate single malt. Aged entirely in ex-Bourbon American oak barrels. This is..